One of the great man!!! Makalukaga valrathuthan elarumey virumpuvanga!!! Opposite aatchi pathi pesuratha niruthidu thanoda aatchi sathanaiya kondu vanga!!! Athuvey tha orey discuss ah pogura mathiri iruku!!! Sattasapaila evolo core veen panringa! !! All people money thana!!! Unga kaaau podu oru nal pongalen! !! he is my hero .ithu namaku perumai .intha arasial porompoku naikal ithil 10% yavathu follow pannugkada kamarasar anda boomi ithu avarpera kedukathinga. 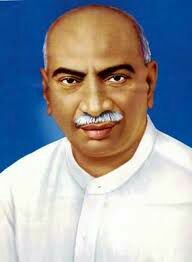 All in one word ""கர்ம வீரர்""
Kamaraj Living in my Heart. He is not man, He is a God. இந்த மாதிரி ஒரு தலைவரை பெறாத நாம் அதிர்ஷ்டம் கெட்டவர்கள் தான். This article must read by all students. அன்று அவரை தமிழக மக்கள் தோற்கடித்ததன் விளைவு தான் இன்று இந்த கொடுமை எல்லாம். அன்றைய சாபம் இன்றைய பாவம். He is an one man army. Innoru list na Pg ya Ravi sir?